Going Mutts is based in Blantyre, South Lanarkshire. We offer safe, secure and happy Dog Day Care services for dogs of all breeds, ages and sizes throughout Lanarkshire, Glasgow & the Scottish Central Belt. Our Dog Care Team is led by Neil Robertson, a fully qualified Dog Care operator and Canine First aider. Our dog care philosophy is simple: While playing, exercising or training, we only use reward-based techniques which have proven to be more effective and kinder to your dog. Neil and the team at Going Mutts will put your mind at ease with our knowledge, experience and passion for dogs. It's obvious our dogs really look forward to their time here, and go home again, happy and tired from all the play with their carers and other doggy friends. HURRY - LIMITED SPACES AVAILABLE OVER AUTUMN AND CHRISTMAS HOLIDAYS - BOOK NOW! "Going Mutts" is a special, family-run Dog Day Care Centre in South Lanarkshire. 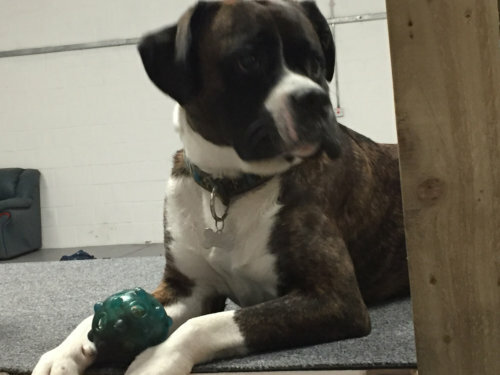 With over 700m2 of safe and secure, dog-friendly premises, we cater for all breeds, ages and sizes of dog.